In my initial outline for this book I planned to devote the opening chapter to times in our national history when we failed or were unable to confront a future problem already waiting to enter the stage of history. The failure or inability to confront these problems set the stage for mammoth changes in our society at the cost of human and material sources. 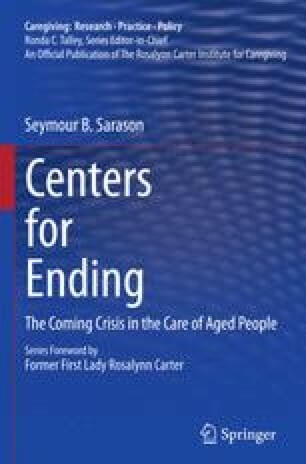 The more I pondered that outline the more I became convinced that such a history, however brief, would be more appropriate and more impactful if it came after a description and discussion of a current problem like the care of aged people. After 45 years of teaching university students I knew that history qua history has to have personal relevance. When Henry Ford said that “history is bunk,” he was unaware that he was saying that people in the present were different than people in the past, a belief for which there is no evidence whatsoever. In the present as in the past people were thinking, feeling, acting, planning, organisms capable of clear vision and blindness, creativity and stupidity, reason and self-defeating passion, and as the king of Siam was wont to say in a Broadway musical: etcetera, etcetera, etcetera. It was inconceivable to Henry Ford that we are kin to those who lived in the near and long past. History does not repeat itself, people do, and that is the fascination and contribution of history. And that is why Santayana said that those who ignore history are doomed to repeat it. Henry Ford did not live long enough to know that the twentieth century was the most murderous in recorded history.